Since way back when, "Top 3" rankings with names like "Three ____ of Japan" have been popular in Japan. See if you can learn them all, put some on your bucket list, or get some ideas for your next trip! In the early 1600's, a famous Confucian scholar who had traveled all across Japan declared these 3 places as the most stunning he had come across in all his journeys. They have continued to inspire countless poets to this day. Around 260 islands large and small seem to float silently on the sea. The breathtaking scenery is never quite the same, differing with changes in the Earth's crust and the sea level. Visitors can enjoy the scenery from four different observatories located in the hills. 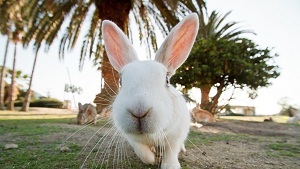 It is also popular to go cruising for an up-close look. Black pines grow free and wild on this pristine, white sand bar. 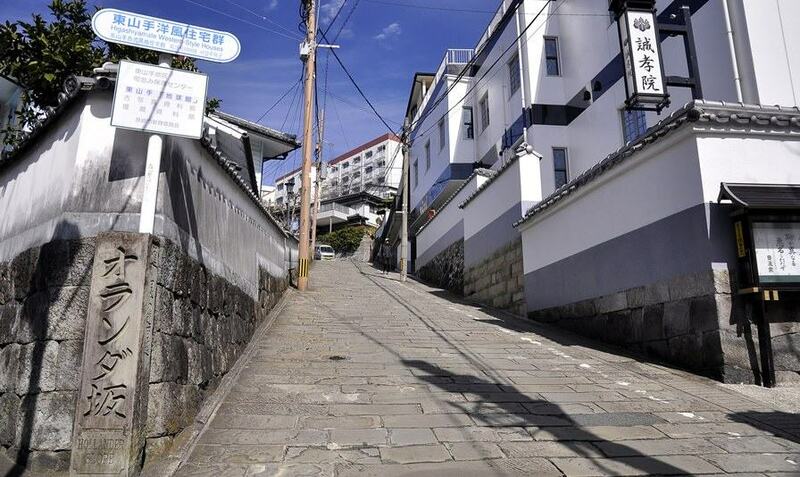 According to legend, an ancient Shinto god made Amanohashidate as a ladder from sea to heaven. A unique way to admire the view is by looking at it upside down through your legs; it's said that this makes it really appear like a bridge to heaven. 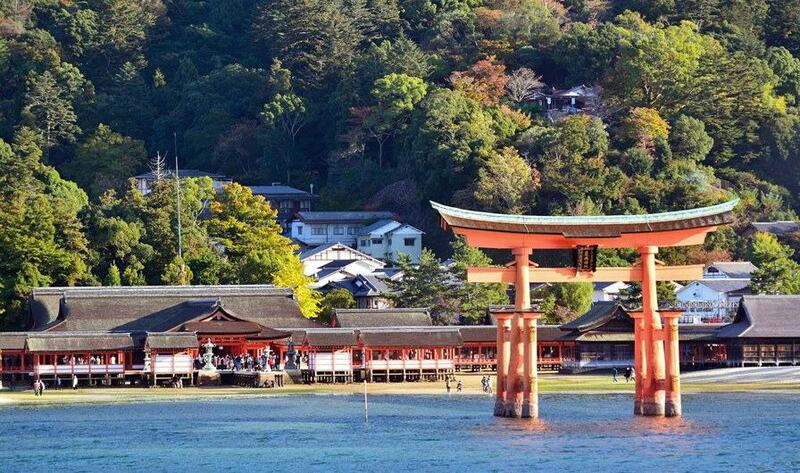 Miyajima has been a place where nature is worshipped since ancient times. 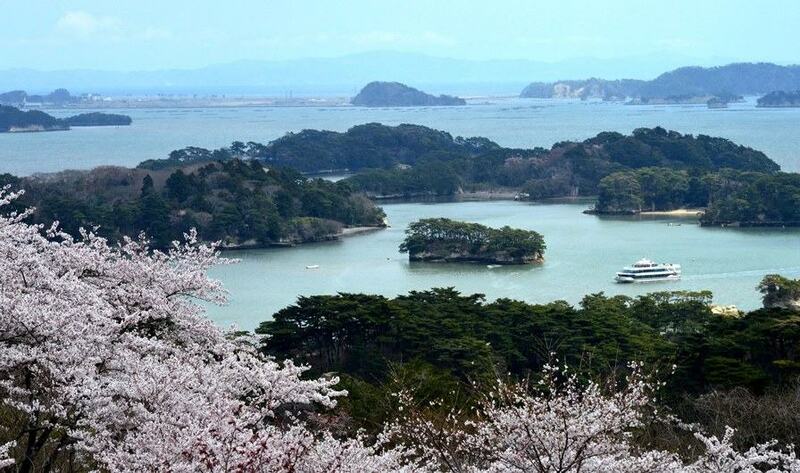 The island is home to the famous Itsukushima Shrine as well as a virgin forest. 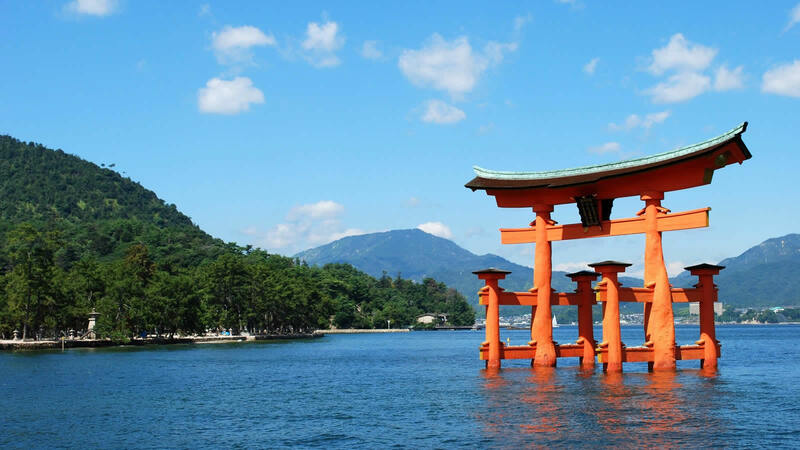 Perhaps the red torii gate, floating in the Seto Inland Sea at high tide, is one of the most iconic views of Japan worldwide. 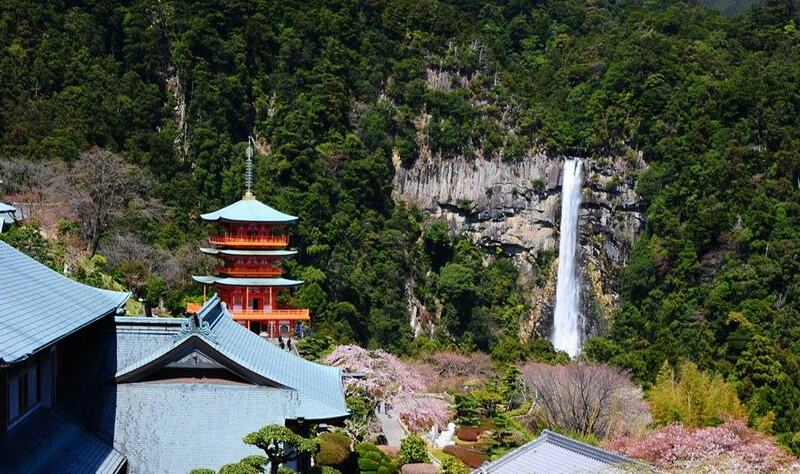 Japan's three most renowned waterfalls, legendary for their height or for the volume of water passing through. Depending on the region, there might be differing opinions about the ranking. 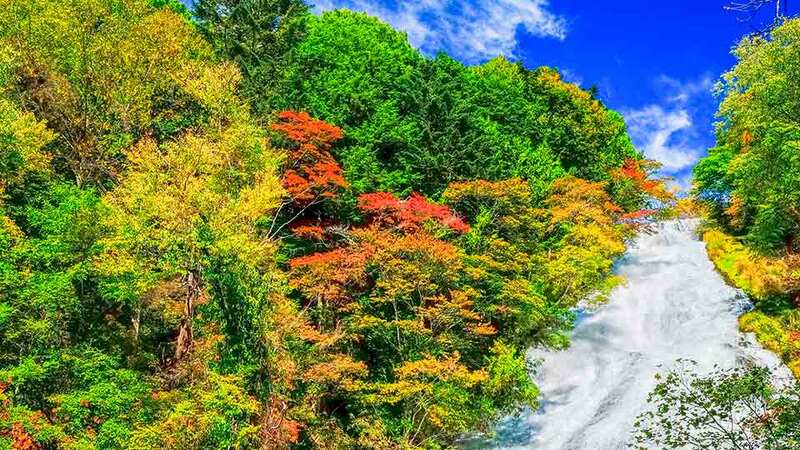 With a drop of 133 meters and more than 1 ton of water of water falling down every second, Nachi Falls takes first place when it comes to Japan's waterfalls. At that top, due to the crags, it appears like three waterfalls are joining into one. A popular photo spot includes a vermilion pagoda in the scenery. 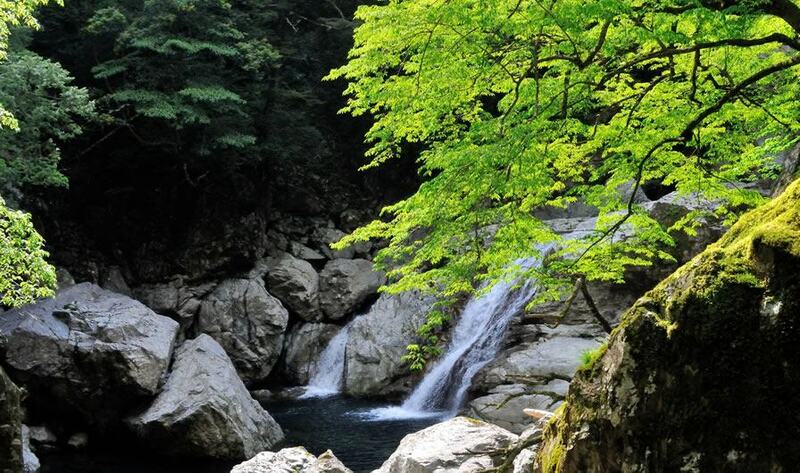 The waters of nearby Lake Chuzenji fall from 97 meters in a charming display of natural beauty. To get the best view, head to Takimi Observatory, located at the base of the lookout point, where you can enjoy the cooling spray and powerful roar of the waterfall. In the dead of winter, the thin waterfall freezes, forming a gorgeous, ice-blue scene. Thin streams of water falls like white strands of a silk over a rock face that is 120 meters tall and 73 meters wide, falling in four stages. It is said that one will never know what true elegance is until visiting these falls once during each of the four seasons. The most beautiful views of Japan's cities by night. In 2003, a new ranking, called "New Three Great Night Views of Japan" was also announced. 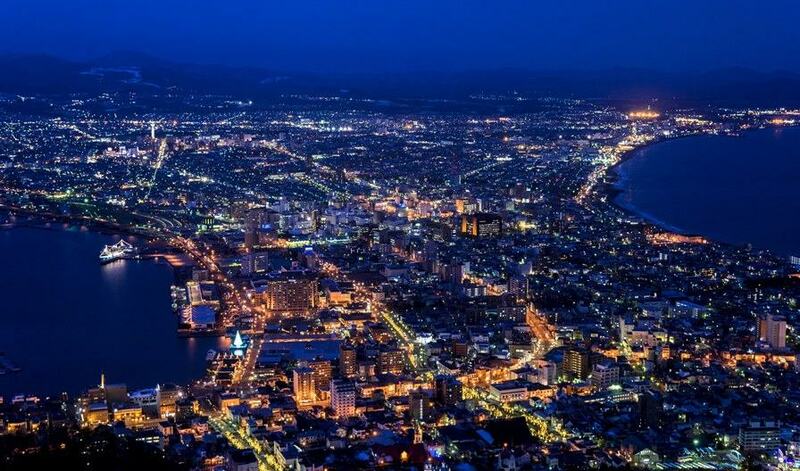 Looking down from Mount Hakodate at 334 meters, the lights of the city look like an outstretched hand, decorated in sparkling jewels. Visitors can take a 3 minute ropeway ride to the mountain peak for the most impressive view. Sandwiched between the Tsuruga Straits of Hakodate Bay, the unique terrain has a mysterious feel. 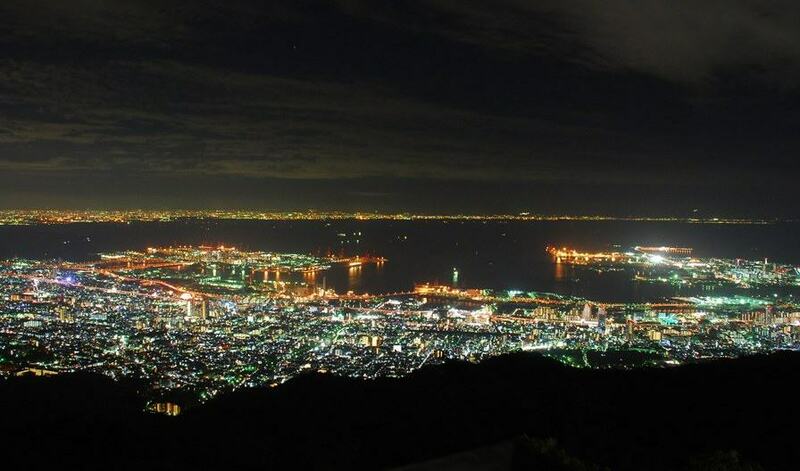 Offering the highest night view in the ranking at 700 meters, a panoramic view of the glittering Kansai region, from Osaka to Kobe, awaits visitors. The pathways are lit up until 11 pm, making it a perfect spot to enjoy some romance. 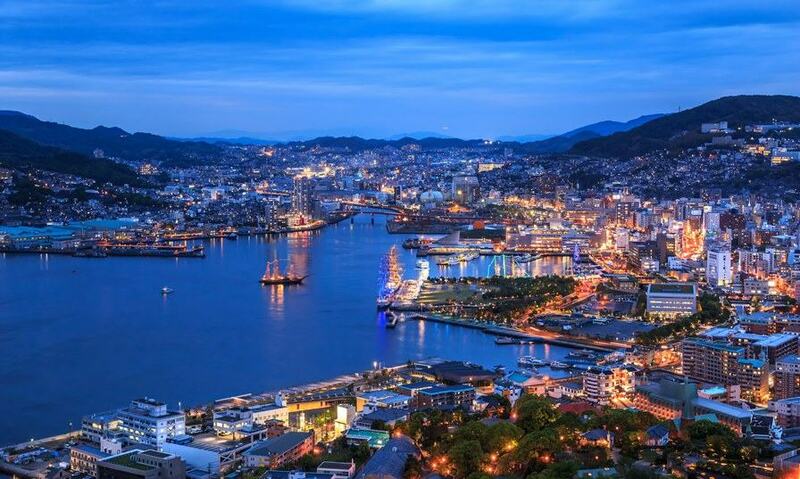 Along with Hong Kong and Monoaco, the view of Nagasaki from Mount Inasa has been selected as one of the world's three "Ten Million Dollar Night Views". The city lights extend to and reflect upon Nagasaki Harbor, and visitors can enjoy a 360 degree view from various angles throughout the city. This ranking tends to change depending on opinion; Osaka Castle and Nagoya Castle also occasionally make it to the list. Seeming to glow with a white silver light, this castle was the first place in Japan to be registered as a UNESCO World Heritage site. The castle, said to resemble a white egret taking flight, was replastered in 2015 and now it looks as fresh as ever. 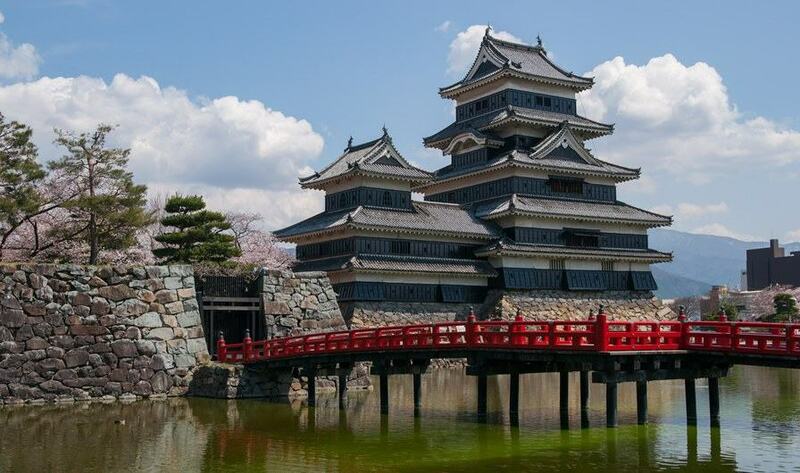 Since its initial construction, the castle has fallen neither to war nor to natural disaster and remains a valuable cultural heritage site, preserving the architecture of the time it was founded nearly intact. Against the backdrop of the majestic Northern Alps, this castle strikes a black, solemn appearance. 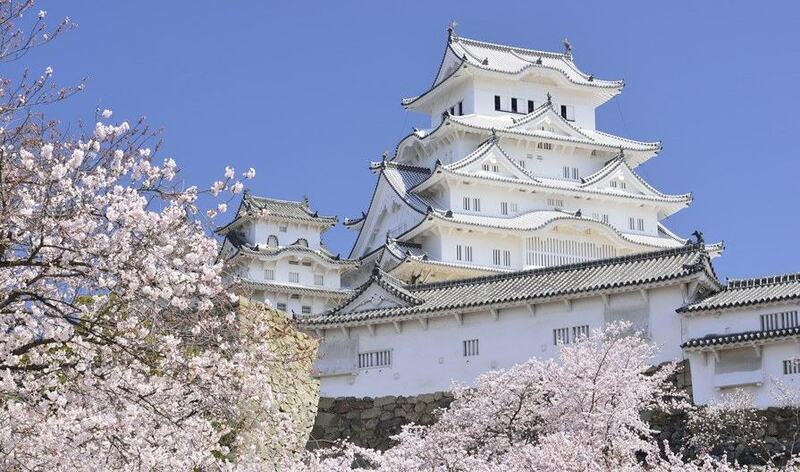 It has not encountered war since the Sengoku period (1467-1603), leaving the castle tower intact. Upon entering, you will notice that the pillars and staircases bear the marks of tools that have long since fallen out of use, lending an even deeper historical ambiance to the structure. The surrounding area has been developed as a park and the castle has a distinct look through each season. 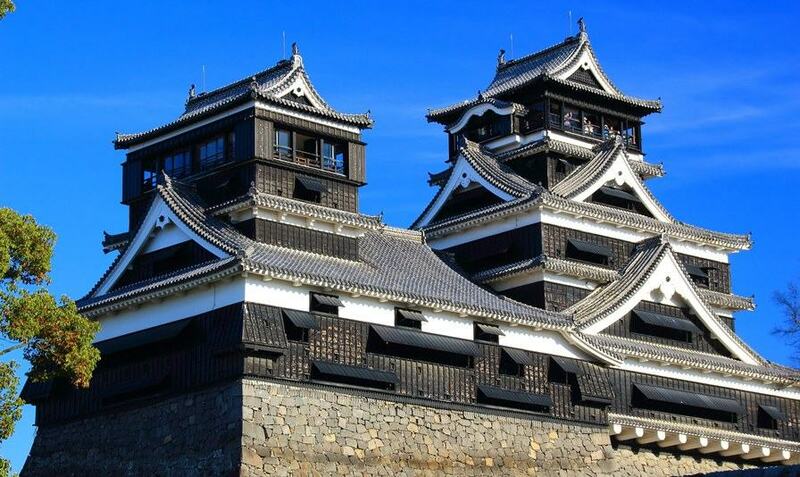 Built by historical figure, Kiyomasa Kato, the castle was known to be impregnable with its so-called "warrior-repelling" stone walls. Its robust history began in the Edo period (1603-1868) and it even hampered an attempted enemy invasion during a civil war. 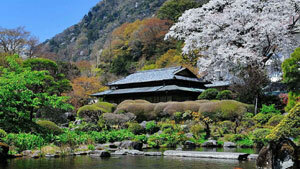 It is also nicknamed the "Gingko Castle" for the ginkgo tree planted there as an emergency food. Three gardens known for their outstanding beauty. It is not known from when this ranking first came into being. 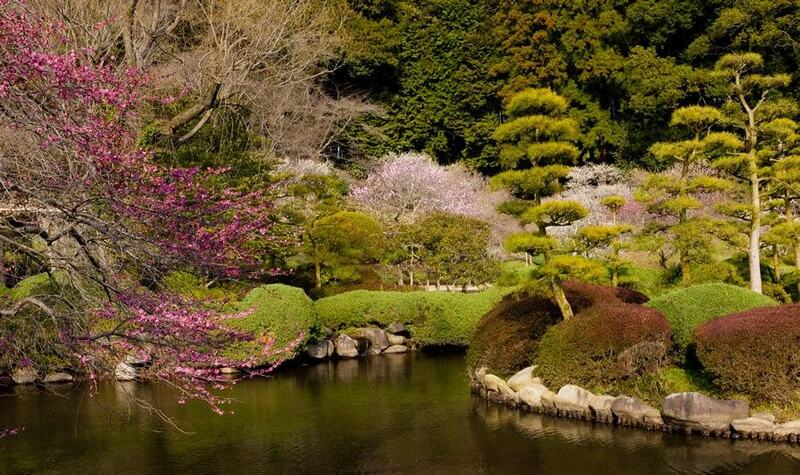 Opened in 1842 by the local reigning feudal lord, it is said to be a garden that can heal the senses in its beauty that continually transforms through each of the four seasons. In the early winter during the Plum Festival, visitors can admire 3,000 flowering plum trees in 100 varieties, as well as flowering cherries, azalea shrubs, and more. Making full use of various gardening techniques through the ages, the garden has enjoyed continuous popularity since its inception--even more so now that the Hokuriku Shinkansen can take visitors straight to Kanazawa. Enjoy a snowy landscape during winter, dappled with white and red plum blossoms, as well as nearby attractions such as Kanazawa Castle Park and the Eastern teahouse district. 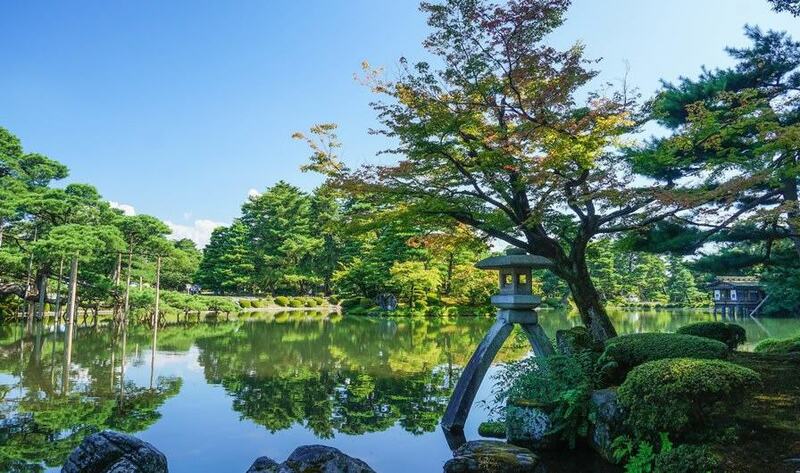 Established about 300 years ago by the feudal lord of Okayama, various lawns, ponds, and pavilions, are connected by streams and garden paths. 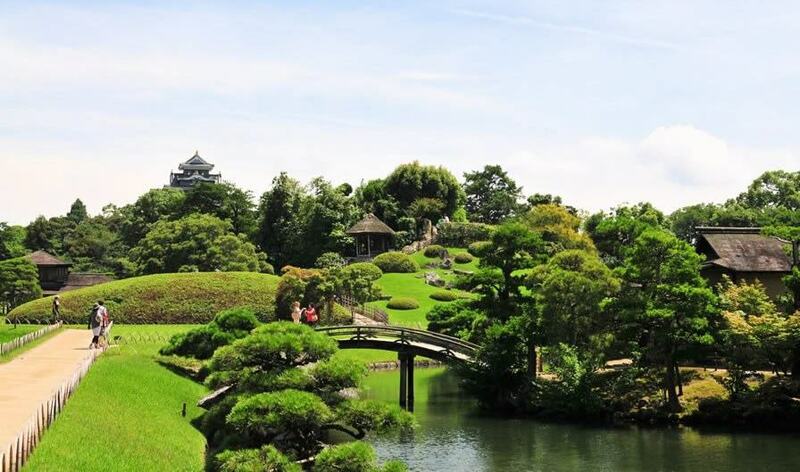 It is popular to admire the scenery as it changes with your footsteps, and also to explore the pavilions and shrines scattered throughout the garden. 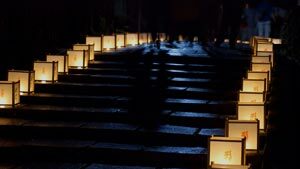 From summer to fall, an annual night "fantasy garden" event is held. This ranking dates back to hundreds of years ago, when a Confucian scholar referred to these three hot springs in a poem as the best in Japan. 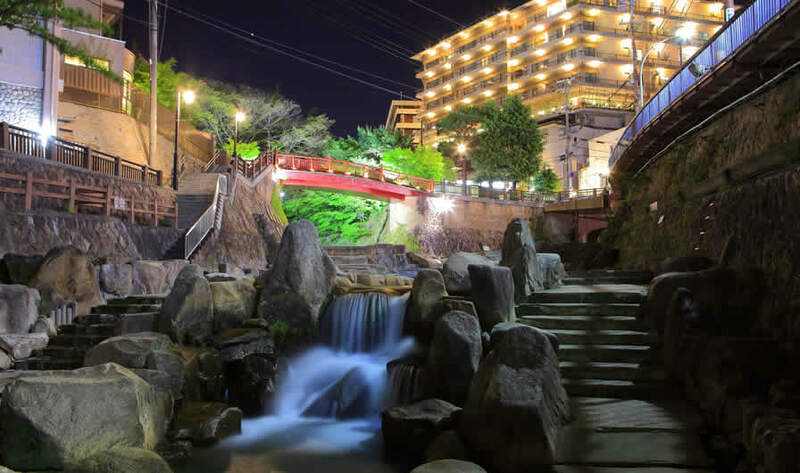 Among other hot spring rankings, there are the "Three Ancient Springs" (Arima Onsen, Shirahama Onsen, and Dogo Onsen) and the "Three Great Springs" (Atami, Shirahama, and Beppu). Recorded as the oldest hot spring of Japan when a Japanese emperor paid a visit in the year 631, the calm and quiet town that first popped up here many ages ago continues to bring visitors more than a millenium later. There are two main varieties of springs here: the so-called "gold spring" which is a deep reddish brown due to its iron content, and the "silver spring" a clear, bubbling spring said to add poor circulation and lower back pain, as well as various skin ailments. 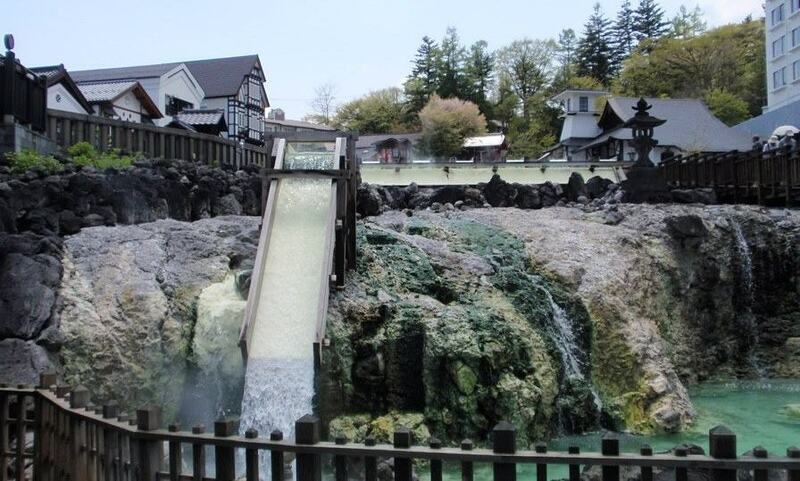 Known for the sheer volume of its hot spring water, gushing forth from the ground, the hot spring town is also known for its chants of "Choina! Choina!" as wooden paddles are used to stir the hot spring water, which is supposed to cool the temperature to a bearable level without diluting the quality of the spring. The town is especially bustling during the summertime. 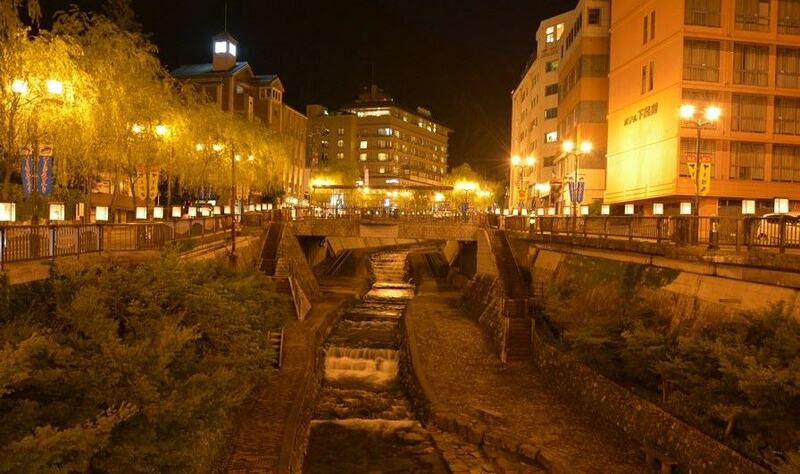 Gero Onsen has prospered since the Edo period (1603-1868) and is known for the outstanding quality of its springs. The water has an alkaline quality, making it feel smooth and silky to touch. 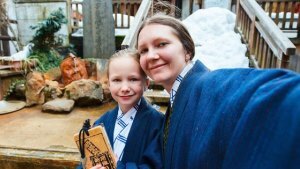 Guests can also get a "yumeguri" or hot spring tour ticket, which enables them to visit the baths of three different ryokan during their stay. 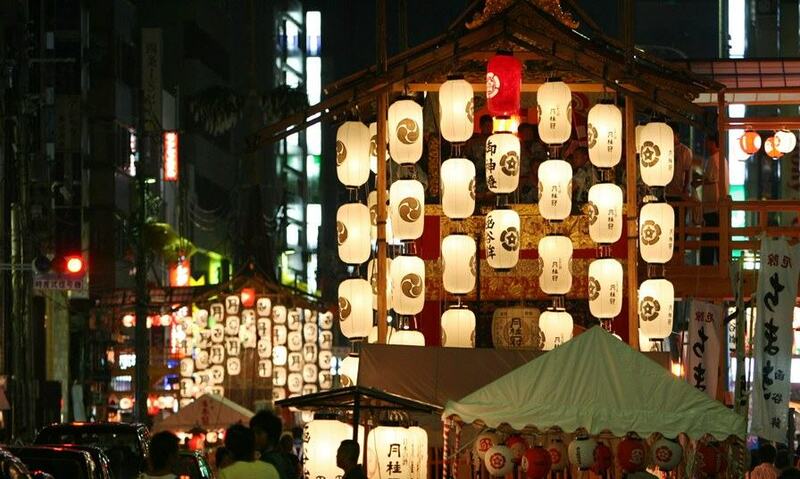 The three major festivals of Japan, or "matsuri" in Japanese. The ranking may vary depending on what area you are in. 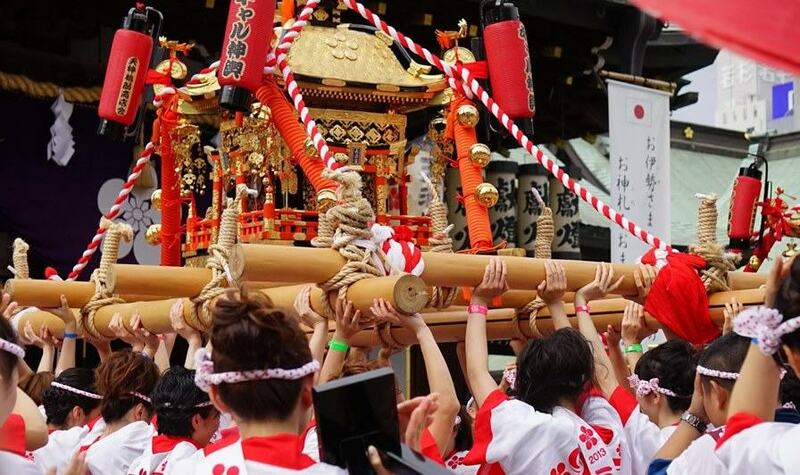 Visitors from all over the world make the trek to Kyoto over the course of a month to witness this gorgeous event, with festivities culminating in a grandios parade of "yamaboko" floats every year on July 17. This parade has been registered as a UNESCO Intangible Cultural Heritage, the evening before of which is dominated by iconic paper lanterns bathing the streets in their soft light. About 1.3 million people each year visit Osaka's largest summer festival in order to pray for prosperity at the Osaka Tenmangu Shrine. On the last day the festival reaches its climax with a brilliant display of fireworks and a procession of boats loaded with merry dancers travels down the waterways in a dedication to the gods, called "funatogyo". 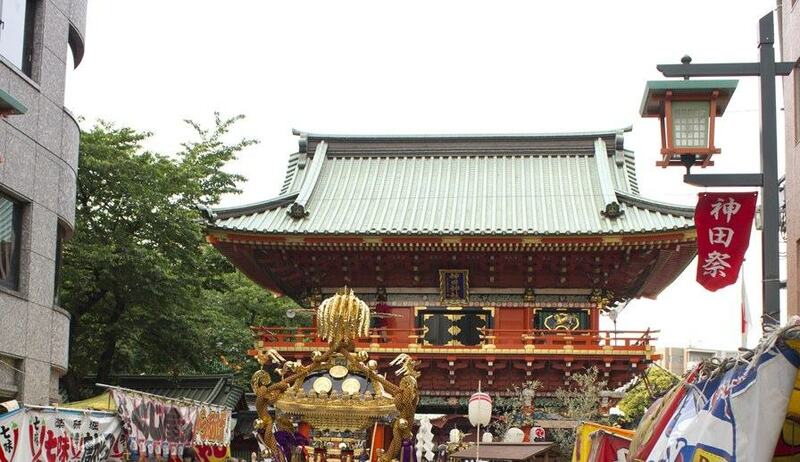 Founded in commemoration of the shogun's victory at a great battle, the Kanda Matsuri is only held every other year and is centered around Kanda Shrine. Visitors can admire the spectacle of over 200 ostentatious portable shrines being paraded through the streets of the Kanda and Nihombashi area of central Tokyo. 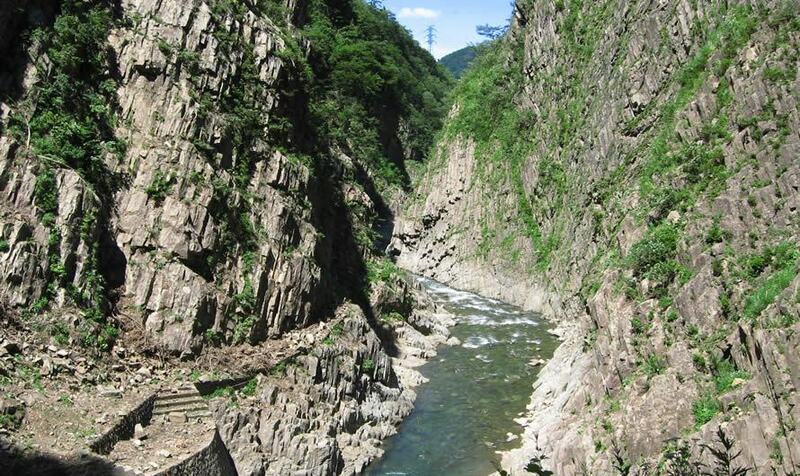 Three amazing gorges carved by rivers ages and ages ago. 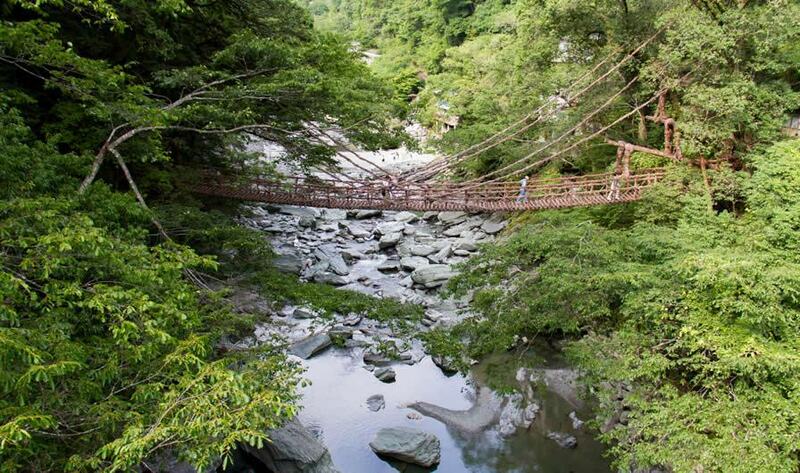 Rugged cliffs and a pure mountain stream make up this gorge, one of Japan's leading scenic spots. Massive rock walls rise perpendicularly on either side of the river, seemingly with magnificent force. A distinctive V-shaped ravine engraved by the Kurobe River. 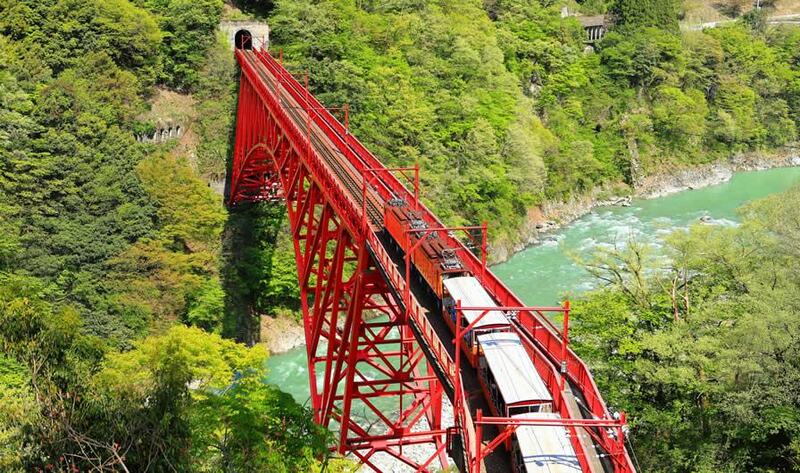 A charming railway runs along the canyon via bridges and tunnels through the wilderness, offering scenic views to visitors through every season. 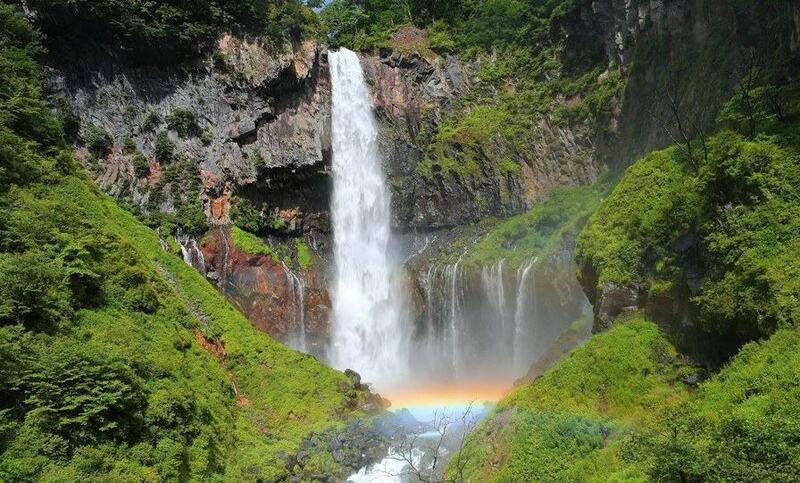 Popularly known as the premier secluded area in the Kinki region, the gorge draws many climbers with its number of waterfalls and its pristine forest. A section of the trail collapsed in 2014 for the first time in ten years, but has since been reopened after repairs. The mountain trail can be exceedingly steep and narrow, but can be safely managed with the proper equipment. Precisely because they're off the beaten path, these hard to get to places offer unique cultural experiences. 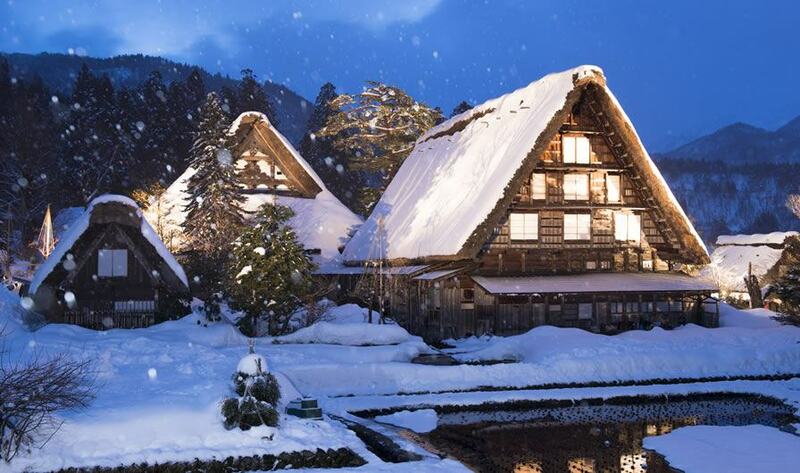 Located in the rugged mountainous terrain of northern Gifu, Shirakawa-Go endures heavy snowfall in the winter and is totally surrounded by mountains. As such, it remained a relatively unexplored region until recently and the village here managed to develop its own unique way of getting by. The village has now been registered as a UNESCO World Heritage Site and is accessible by bus from the outside. A stay in one of the unusual old-fashioned inns is highly recommended. 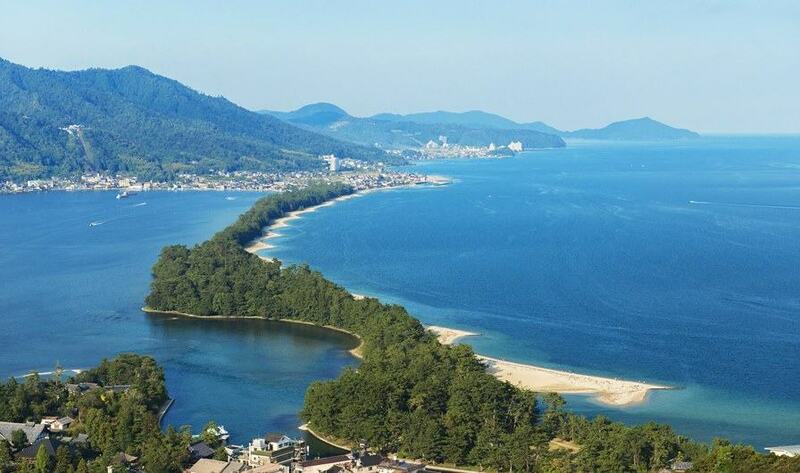 Located in the center of Shikoku Island, according to legend, Iya is said to be the place where a defeated clan fled to after losing a major war during the middle ages--most likely they came there as it was secluded and they would not easily be found in Iya. Attractions include a famous suspension bridge and luxurious hot springs. 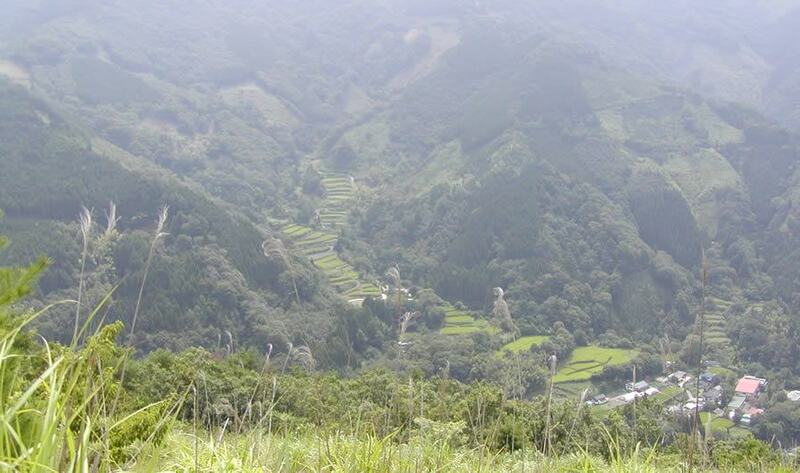 Surrounded by mountains and then more mountains, Shiiba lies deep in the relatively unexplored region of Kyushu. It is said that the members of the same defeated clan that fled to Iya also sought refuge here, and over the course of hundreds of years, they were able to develop their own history and culture, from musical traditions to agricultural techniques. All of these trees boast life spans in excess of 1000 years. Its age well over 1,000 years, this weeping cherry is 19 meters tall--about the same as a 6 or 7 story building. From east to west, it is 22 meters long, and it extends to 17 meters from north to south. 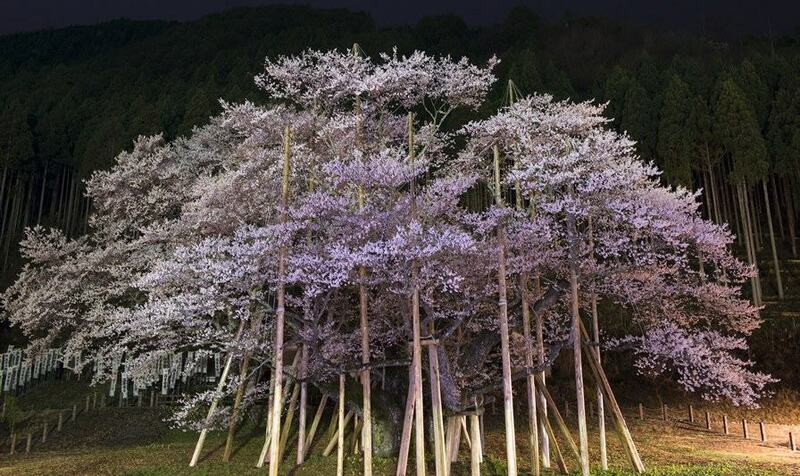 Its name means "waterfall cherry" as its sloping branches are like a flowing waterfall of pink petals during April. This 16-meter tall tree is over 1,500 years old and covers an area of about 30 meters from north to south, and again from east to west. The flowers are unique in that the go through three stages of color--pink as they begin to bud, white as the blossom, and pale, inky black as they wither--hence its name, meaning "pale ink cherry". 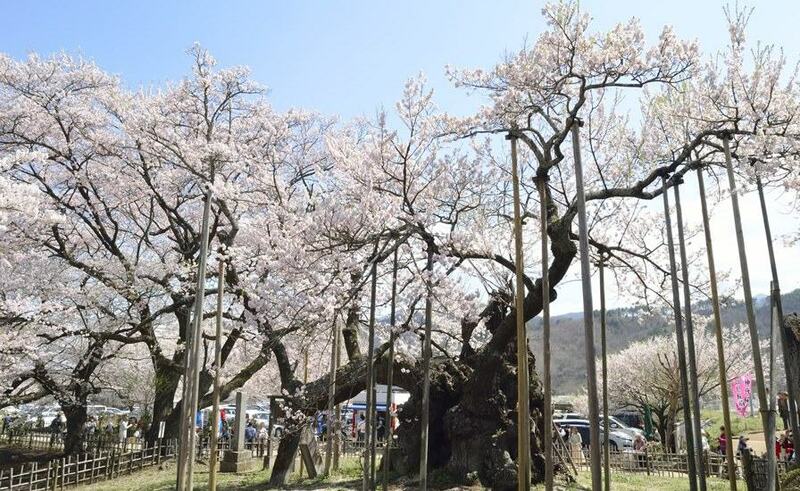 Japan's oldest cherry tree, estimated to be between 1,800 to 2,000 years old. While part of the trunk is now rotten, newer branches have extended from the roots, spreading out about 18 meters. 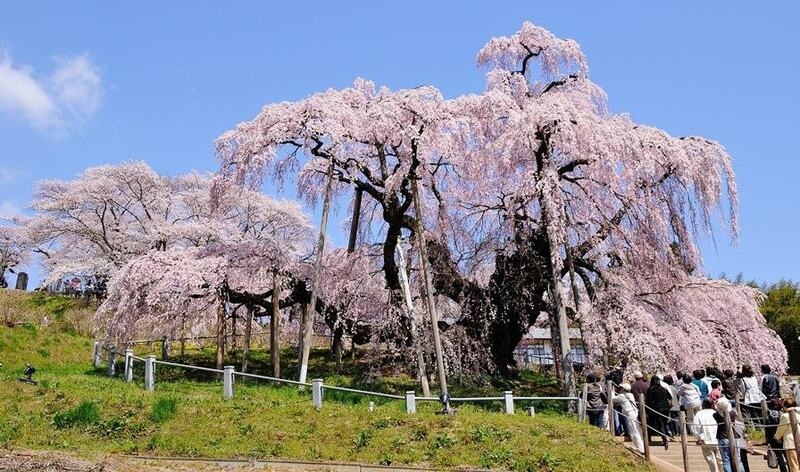 Many visitors come to view this cherry tree and also flowering cherry seedlings that are the descendants of the Miharu Takizakura and the Usuzumi Zakura trees, located on the same temple grounds. 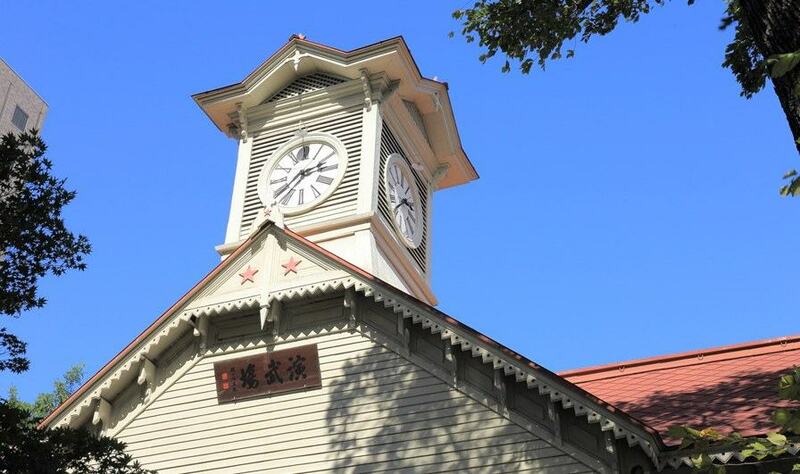 Often appearing in guidebooks for Sapporo and Hokkaido, this clock tower, which belonged to the old Sapporo Agricultural College, is surrounded by many larger skycrapers in the heart of Sapporo. These tall buildings effectively dwarf the impression of the clock tower; despite this, it is one of the oldest surviving Western clocks in Japan and is a thing of beauty that is worth checking out. 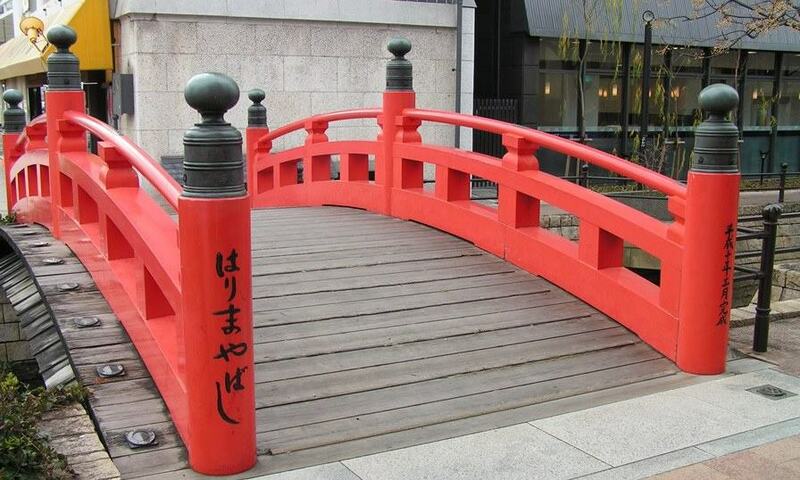 A dainty bridge at 20 meters in length, arched and painted in vermilion. The bridge has been immortalized in a famous, centuries-old festival song and has historical signficance. However, the proliferation of streets filled with heavy traffic around the bridge takes away from its impression. Still, you might as well make the visit if you're in the area and have some free time. Meaning "Dutch Slope", Oranda Zaka was the site of Japan's early cross-cultural exchange with the West, where merchants from the Netherlands settled in the 1800's and lived in European-style residences, some of which are still standing today. Compared to similar Western quarters in other parts of Japan, such as Yamate in Yokohama, Dutch Slope is basically an cobblestone hill--but, it's still a nice place to enjoy a stroll through exotic streets on a leisurely day. 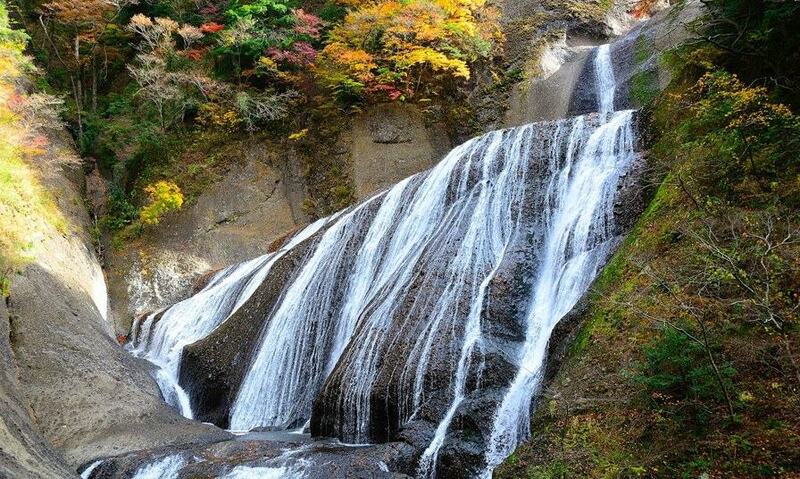 One of the most famous places in Japan for seeing autumn leaves, the extremely popular Hakone! Here we introduce our recommended spots, together with the best time to visit. During fall, Nikko's landscape transforms into a painting of red and gold. 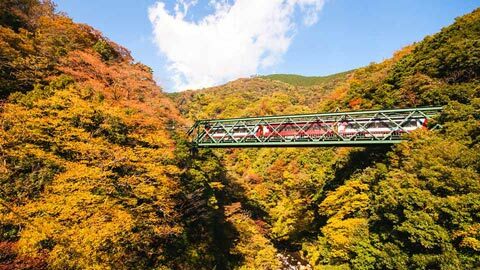 This is our guide to Nikko's best autumn sightseeing! 10 Japanese hot springs you shouldn't miss! Japan is a country full of amazing hot springs that attract visitors from far and wide--here is the 2015 January-June ranking of hot springs that are particularly popular with travelers from overseas! Dress it down or up, yukata never go out of style! 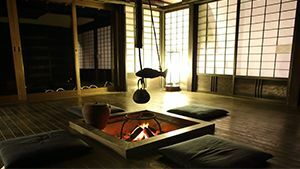 Introducing 6 hotels and ryokan that will help get your hands on a yukata of your very own. 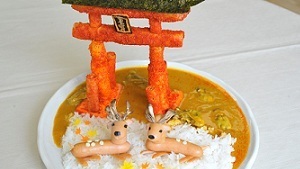 Check out these whimsical curry masterpieces, inspired by some of Japan's most famous sights. While you can't order these dishes in a restaurant, you can have fun making your own with these instructions! 52 temples dot the holy mountains of Koyasan, founded by the illustrious monk, Kukai...here are the 5 most popular!